The XXI century is definitely the Internet era. The global network has been developing along with many solutions, software and possibilities. It was only a matter of time when it will be used for communication online. 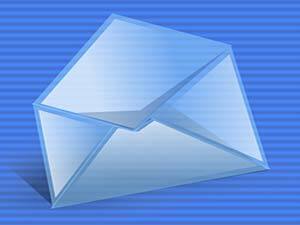 E – mail was just the beginning of new, fascinating options that allow people to be in regular touch with each other. Of course, the Internet became a serious competitor for traditional service providers. It has replaced the existing means of communication with services that are quicker, more reliable and what is most important – cheaper. But the Internet is also the place were you can find services that are free of charge. Nowadays technology, available software and advertising market open new possibilities for the online communication. The main source of income for the majority of websites and online services is advertising. So the operators can afford providing free calls online and free text messaging (SMS) as they are already generating income thanks to third parties, who wish to promote their services among the website users. That is enough. Such solutions are beneficial for everybody, as they all achieve their goals. The advertisers promote themselves, the free phone call operators make money and, what is most important of all, the service is totally free for the users. This might be called one of golden rules of permission marketing. It only proves what the Internet has become today and that any limits that we had so far can be forgotten about. Of course it does not mean that people will abandon their mobile phones, but it will help reducing their costs. All that is required to use such service is a computer with the Internet connection. No software to download, no logging in but also no bills nor charges. There is no doubt, that such telecommunication solutions will become even more popular among everyday users, as they create a chance to be in touch with everyone we care about without any costs.